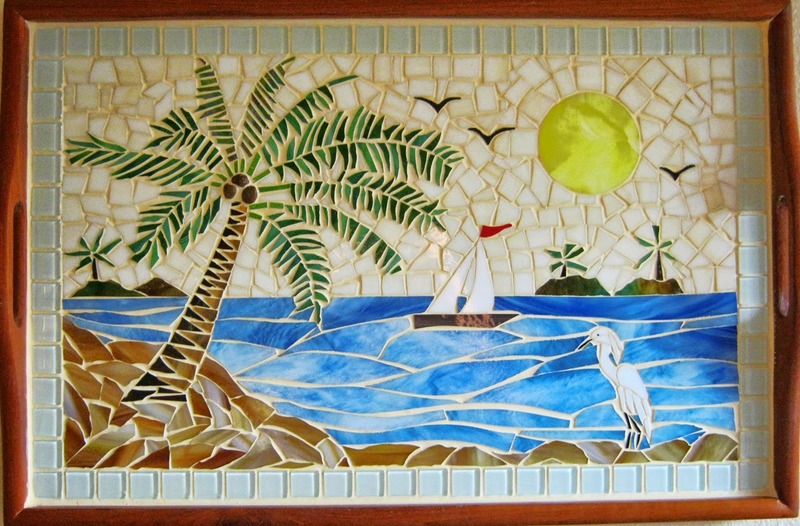 Mosaic beach scene made in a wooden tray using No Days Mosaic Adhesive. We love receiving customer feedback and seeing all the creative projects made with No Days Adhesives! Recently, Gayle Haynie of Glass by Gayle shared some of the projects she’s been working on. and No Days Mosaic Adhesive. I bought the metal tray at a garage sale. 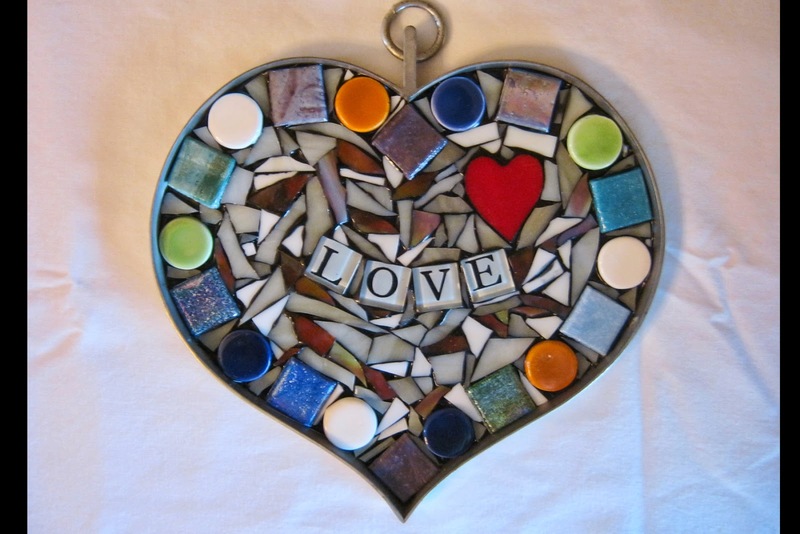 Mosaic 12″ heart metal tray made using No Days Groutless Mosaic Adhesive. If you’ve got projects you’d like to share with us, feel free to email info@streuter.com.